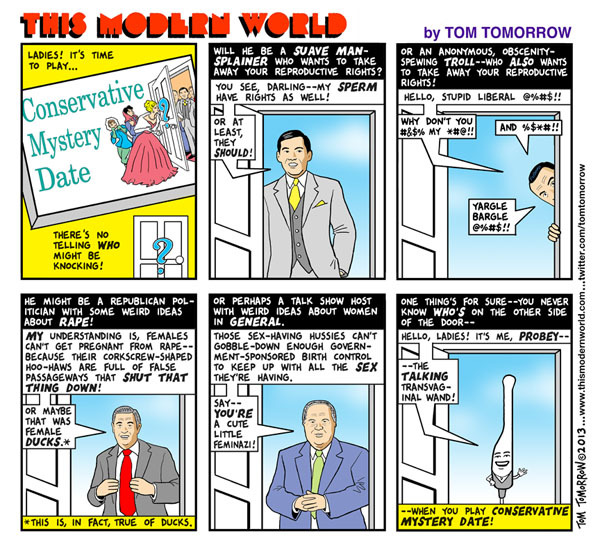 It’s Time to Play… Conservative Mystery Date! Who'll be the lucky man (or troll) for you? For more American roulette, check out Tom Tomorrow's recent posts.